The adverse effects humans have had on the environment are becoming ever more evident. The WWF have recently declared a state of emergency as global vertebrate populations have declined by a catastrophic 60%. Although this can be attributed to a range of issues from climate change to hunting to deforestation, this distressing decline is largely due to the monstrous amount waste we accumulate and the often careless ways it is disposed of. It is thought that there is more microplastic in the ocean than there are stars in the Milky Way, microplastic has now even been found in the furthest reaches of the Arctic. These findings are pretty hard hitting, but it's still hard to see the direct effects of plastics when living in a city. According to Wikipedia, "Corporate Social Responsibility, often abbreviated "CSR," is a corporation’s initiatives to assess and take responsibility for the company's effects on environmental and social wellbeing. The term generally applies to efforts that go beyond what may be required by regulators or environmental protection groups". There are many considerations to make when choosing environmental cleaning products for a specific application. The W.E.I.R. system is designed to help the user take into account environmental impact issues in their selection process, including raw materials, the manufacturing process and even packaging. Metsä Group paper manufacturer has been awarded an FSC group certificate that covers the forests in Finland owned by the Group companies. At present, the FSC group certificate granted to Metsä Group covers around 35,000 hectares. Most people accept the importance of ensuring products comply with eco-friendly procedures and standards. Customers today are more sensitive to the protection of the environment – four out of five European consumers would like to buy more environmentally friendly products, provided they are properly certified by an independent organisation. Having the EU Ecolabel on Rubbermaid’s products answers customer’s high expectations, guaranteeing a high level of transparency, reliability and scientific credibility. Recycling - Have Rubbermaid got this completely wrong? 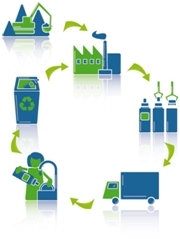 What are the Environmental Credentials of Your Tissue Supplier? Recently WWF has published the results of its second WWF Environmental Paper Company Index, a rating of paper producers on their global ecological footprint. WWF ranked Metsä Tissue (Katrin) as the best in the category of public Corporate Responsibility reporting and Environmental Management Systems. Metsä Tissue achieved an impressive result of 86% of the maximum score in this category. The second best tissue producer scored 78%. These results go hand in hand with Katrin’s hygiene spreads success philosophy and emphasize the importance of sustainability issues in our company. 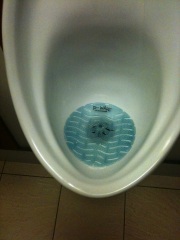 Why would you want to use a urinal deodoriser is a very good question, and why use the P-Wave?